The amount of quality programming on streaming services alone continues at a peak pace, and there are days where I wonder if it’s worthwhile to catch up with a show whose season dropped 3-5 weeks ago. At that point, pop culture sites have written their reviews and recaps, legions of fans have already rushed in, binged the season, and exhausted their “water-cooler chatter” around the office or fleshed out their views on social media. It can be difficult to avoid spoilers. This was my recent experience with Sneaky Pete, the Giovanni Ribisi-led ensemble drama, created by Bryan Cranston and David Shore, with executive producing and writing help from “Justified’s” Graham Yost among others. The show’s 2nd Season dropped on Amazon Prime Video on March 9th. I absolutely loved Season 1, and given how incredible (and highly underrated) this show is, there was no way I would pass on binging Season 2 when a “show window” opened in my schedule. It turns out, the last ten days of April and first week of May were that window. These two grizzled Vietnam Vets and begrudging “Besties” aren’t just survivors, but save the day in key moments this season. Though not in time to prevent “Irish Moe’s” severe beating by Colin, Otto and Sam pair up to eventually stay one step ahead of the angry young assassin the rest of the way. Ultimately, it’s Otto’s just-in-time arrival at the storage facility, coupled with his turning Colin and Ayawamat against each other in a double murder, that saves Julia, Valerie, and Marius from danger. Sam even presses on after getting shot! Talk about virility over 65?! These guys are a couple of trusty punchers when you’re in a jam. 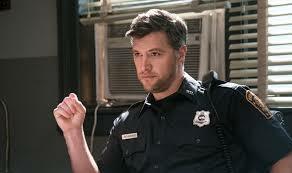 Sneaky Pete is full of great Villains – Luis Mercado, Dockery, Luka, even Detective Winslow. But Colin is annoying as Hell. Sure, his hit-man father has been “disappeared” and he’s angry and out for revenge, but he’s too quick to raise his gun, and even makes an “annoying angry face” in just about every scene. There is just no panache or motivation to this character that there is to the other villains. Honorable Mention: Sean, who is not only the most annoying bail bondsman in history (let’s just assume), but such an annoying and paranoid husband that the viewer almost can’t sympathize with him over Shannon’s cheating. 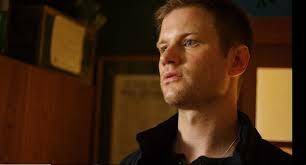 Tobias Segal plays Sean so well, though, one can appreciate the difference between this intentionally annoying performance and that of Mr. Oberholtzer’s Colin. On the flip side of Colin are two absolute maestros of villainy – Luka’s “problem solvers” Frank and Joe, who we first meet in the last scene of Season 1, kidnapping Marius (thinking he’s Pete) and demanding that he take them to “the money.” Sure, Dockery and Mercado are intimidating, scary, and not afraid to hurt you. And Luka plays his mix of humorously crazy and vicious very well. But pouring acid on people? It fits the character, but it’s almost cowardly. Now take Frank. When lied to by Marius, Frank doesn’t hesitate to gut poor Gavin in the hotel room, while poor Gina and Marius watch in horror. That seems a bit nastier than Bryan Cranston’s character merely cutting off Marius’s brother’s finger, for example, in Season 1. 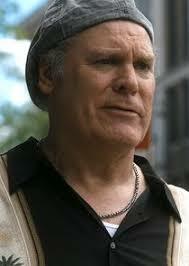 No, Frank is one committed gangster. He’ll work to finish any job, however nasty. His partner, Joe, is a little smoother and is a little hungry for that reward at the end of the tunnel. His impatience, as perceived by Luka, is ultimately his undoing. But before his death, we get a look at his commitment in chasing down Pete on their trip to the town with the Psychics, and his terrifying gaze on several occasions, including his creepy run-in and “selfie” with Carly. I wouldn’t meet Joe in a dark alley either. I’m no hoodlum, but if I were, I would say Gina has some promise… as something other than a con artist. Sure, she’s quick on her feet when “in character,” playing real-Pete’s girlfriend at dinner, or during the first run at the Buffalo. But she doesn’t seem to like it very much, acts either tired or annoyed by Marius, and seems to resent being swept up in the operation. Her only seemingly happy moment all season is as a flirtatious coffee barista. She plays her part, but I personally think she should take her hundred bucks from the job and go to college… or acting class. At least she could then play pretend without having to pick pockets. Come… ON! Who wasn’t rooting for this to happen, and for Taylor to finally move on from Shannon?! I mean, if Roby isn’t the most ideal example of how Taylor can do better than Shannon – and I don’t mean on looks – I don’t know who is! Roby is both someone Taylor enjoys being with AND challenges him intellectually. Shannon doesn’t do that. She just broods and regrets her marriage to Sean. The real question here is whether the spark is mutual between Taylor and Roby? I think it is, but then what holds Roby back? Is it the fact that she doesn’t see Taylor, or the local yocal police department ilk in general, as her equal? Or the fact that despite some affection, she knows Audrey is somehow involved with Winslow and Taylor’s been obstructing justice? Is her way of showing him affection to share her on-the-nose secondary theory on the way out of town? Sort of a, “I care about you enough to let you all off the hook?” Whatever the reason, I would love to have seen those two kids get it on, and give Taylor a relationship that challenged him to reach higher. There is no question that whip-smart Carly, the youngest Bernhardt grandchild, is beyond her years and unchallenged by much that’s thrown her way. Her shoplifting scheme early in the season seemed as if it was conducted more out of boredom than any nefarious inclinations of character. She can clearly take on a lot more than her overly protective family allows, and never hesitates to let them know it. She has great instincts, is intellectually very curious, and has moxie to spare! (We love moxie in Todd Flora’s America). If she doesn’t end up finding “skips” for Bernhardt Bail Bonds (probably faster than anybody else), I think she’s got a future as a detective with a record as impressive as Roby’s. 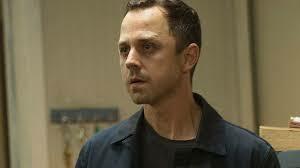 There isn’t anything I can watch Giovanni Ribisi do anymore that doesn’t amaze me. He becomes every character he plays. The way he plays Marius Josipovic, I almost forget he was Phoebe’s slower, awkward brother on TV’s “Friends.” I truly, honestly believe Giovanni Ribisi could con me out of something, but while almost making me feel good about it. There wasn’t a moment this season where I didn’t struggle to balance the competing emotions that Marius either: A) didn’t quite know what he was doing, or whether his schemes would honestly work out, and, B) Marius knows exactly what he’s doing, and his “uncertainty” or moments showing fear or hesitation are just part of the schtick. 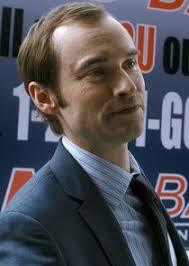 Now that is persuasive acting. Margo Martindale perfected chameleon-ism years ago. 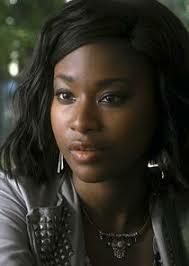 I may have only been scantly aware of her previous to 2004’s “Million Dollar Baby,” (MDB) but I’ve sure noticed her everywhere since! 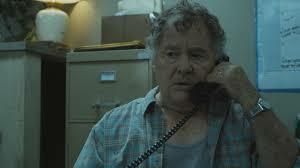 As Earline in MDB, she scared the bejesus out of me cursing out poor Hilary Swank for buying her a new house. There she was, the most absentee, spiteful mother of all time, bitching out her successful boxer-daughter because a new house would make her look too rich to continue to collect welfare checks. Now that’s a special kind of “sinister.” She brought that same intensity to warning the townspeople of coal sludge on Justified. 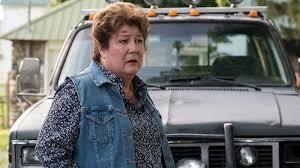 You don’t cross Margo Martindale’s characters. But as Audrey, she commands respect as family matriarch and yet shows vulnerability in the deep valley of uncertainty she feels in fearing the prospect of jail and bringing shame on her family. 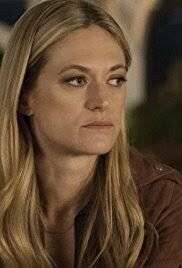 The “I’m not Teri Polo” Award – Marin Ireland, who plays Julia. Julia has such a great season, and is someone really coming into her own. More smarts. More guts (yes, more Moxie!). It seems a shame to grant her such a flaccid sounding award. But because of her undeniably Teri Polo-ish looks, it seems the obvious moniker given that in just about every scene, I have to remind myself she’s not Gaylord Focker’s proud wife. Sorry Marin – you rock! You can’t talk about Sneaky Pete without talking about the fantastic contribution Alison Wright makes as Marjorie. First, Marius would be almost helpless without her. The way she plays hardball with the prison warden as a fake lawyer in one breath, and in almost the same breath flirts with real Pete as a ripe, lonely target at a local dive bar, is something to behold. She always seems one step ahead of Marius, and is somehow able to gather an incredible amount of intelligence without drawing attention to herself. And while she is discovered by Audrey and Carly on their gal-time bonding trip, she’s still quite slippery and knew when to throw in the towel against an acid-throwing madman. She’s a survivor. 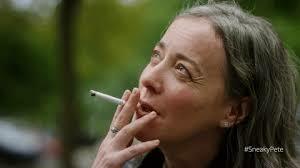 Mark my words – she’ll be the last one standing if everyone goes down in the Series finale. 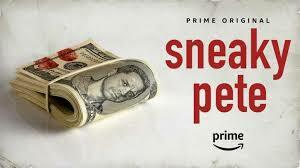 The Sneaky Pete Season 2 MVP – Maggie Murphy (Jane Adams). She goes back and forth playing with Luka, Marius, and the team about who should get the money, and whether she knows where it really is … it’s maddening! Nobody ever said a show or season MVP had to be a beloved hero. In this case, Maggie is a clever deceiver and crazy like a fox. She’s never worried, even with death staring her in the face, and her machinations pull the strings of an entire season of fantastic scripted television. I only hope Cranston, Shore, Yost and company can keep the con going another couple of seasons. It’s a lot of fun, and worth catching up with on anyone’s binge timeline. What about…Best Conversation About Coffee Award: Joe, Frank and Luka (ep 6). Complete with Frank telling Luka his drip coffee is for hipsters and also delivering my fave line of the season “I’m just saying give me a cup of Dunkin’ Donuts”.